Davey Holmes introduced Epix into the world of reasonably successful TV dramas with his Get Shorty TV show, and with that notch in his belt he’s going to move on to something a bit more gonzo. 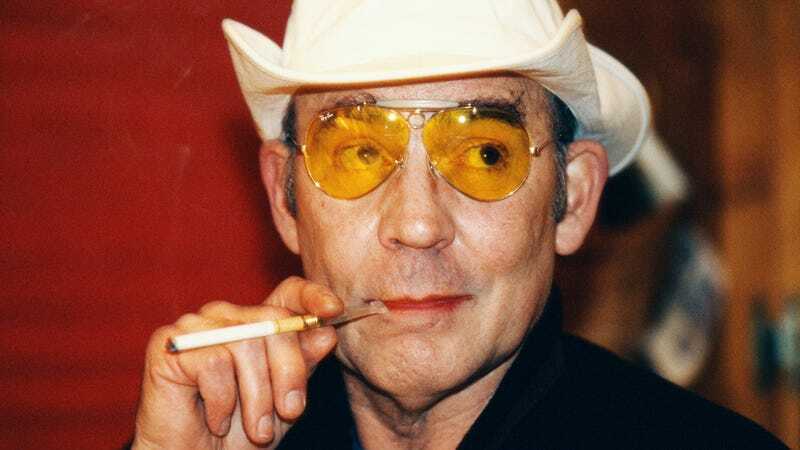 According to The Hollywood Reporter, Holmes and MGM TV are now developing an officially authorized biographical TV series about journalist Hunter S. Thompson as part of an overall deal that Holmes signed with the studio. Titled Fear And Loathing, we don’t specifically know what events from Thompson’s life will be covered, but the name implies that it’ll focus on his 1971 collection Fear And Loathing In Las Vegas: A Savage Journey To The Heart Of The American Dream—or maybe Fear And Loathing was just an obvious name given how famous the movie is. The Hollywood Reporter story doesn’t say if Fear And Loathing is definitely headed to Epix, but since that particular network is owned by MGM, it seems likely.